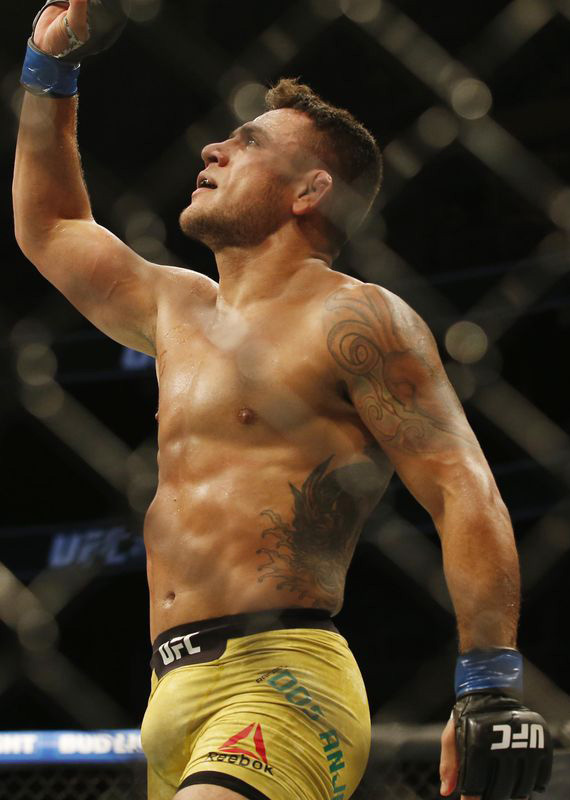 After sweeping the scorecards with a clear-cut 50-45 victory over Robbie Lawler in the main event of UFC on FOX 26, which took place Saturday at MTS Centre in Winnipeg, Manitoba, Canada, Rafael dos Anjos has now emerged as the new #1 contender for UFC Welterweight Champion Tyron Woodley’s belt. Dos Anjos, the former UFC Lightweight Champion, moved up to 170 lbs this year after flaming out at 155 lbs. 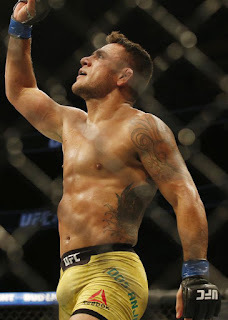 After winning 10 of 11 fights at lightweight, including his breakthrough title fight win over Anthony Pettis and subsequent title defense against Donald Cerrone, RDA was shockingly knocked out by Eddie Alvarez to lose his belt -- and a possible payday against Conor McGregor -- then lost to Tony Ferguson as well to incur a two-fight losing streak. RDA then decided the weight cut to 155 was too much to handle anymore, so he moved up to 170. Many observers figured that RDA would be too small for 170, but so far he’s proved all of the doubters wrong. In his welterweight debut he didn’t look out of place at all against Tarec Saffiedine, taking home a unanimous decision win over the former Strikeforce champion to emerge as a top-15 welterweight. RDA then fought one of the biggest welterweights on the roster in Neil Magny and was able to take him down to the ground and submit him in the first round. It was impressive, to say the least, and earned RDA the fight against Lawler, a main event opportunity against a former champ that would push him into the Top 3 at 170. Despite entering the fight as a slight favorite, many observers were still picking Lawler to beat RDA, mostly based on the size difference, as Lawler is a former middleweight and RDA is a former lightweight. But RDA showed in the fight there wasn’t much size difference at all, as he physically matched up very well against the former welterweight champion. And skills-wise, RDA showed he was the superior fighter, as he was able to outstrike Lawler throughout the five rounds and also win most of the grappling exchanges. RDA had some amazing fights at 155, but this was arguably the most impressive performance of his career, as no one outside of Woodley has been able to wash Lawler the way RDA did. It was truly a breakthrough performance for RDA at 170, and a performance that should earn him a title shot against Woodley. Until this win by RDA, there was no clear-cut #1 contender for Woodley’s belt. Woodley had already beaten Stephen Thompson, so he’s not in the title discussion at this point, and neither is Demian Maia or Jorge Masvidal, who are both coming off of losses. Colby Covington has made his argument for a title shot, but Woodley doesn’t feel like that fight makes sense, and Covington might need another win to get that title shot. 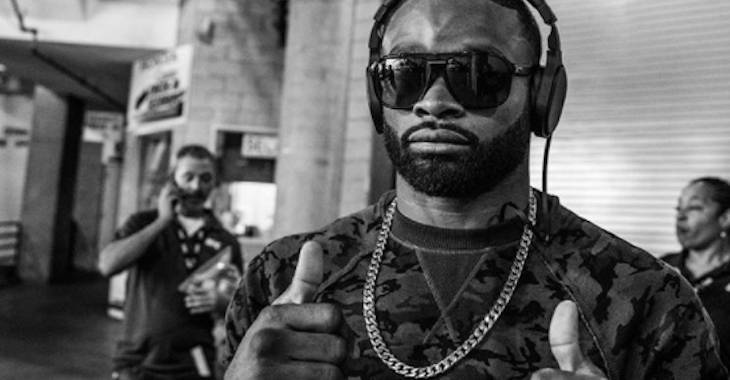 Woodley wanted to fight Nate Diaz, but the UFC has denied that it tried to make that fight. And guys like Darren Till and Santiago Ponzinibbio aren’t ready. It only makes sense for RDA to get the fight against Woodley, and it’s a fight that the fans would chew up. Should RDA beat Woodley -- and it won’t be easy, as Woodley has proven himself to be a dominant champion at 170 -- he’d have to go down on the shortlist of greatest MMA fighters in UFC history. Winning one belt in the UFC is hard enough, and RDA already did that at lightweight, but if he wins another one at welterweight it would be hard to exclude him from the list of greats; the short list of fighters who have won multiple UFC titles includes Randy Couture, BJ Penn, Conor McGregor, and Georges St-Pierre. Of course it’s easier said than done that RDA will beat Woodley, but if he does, he’ll absolutely enter GOAT conversations. 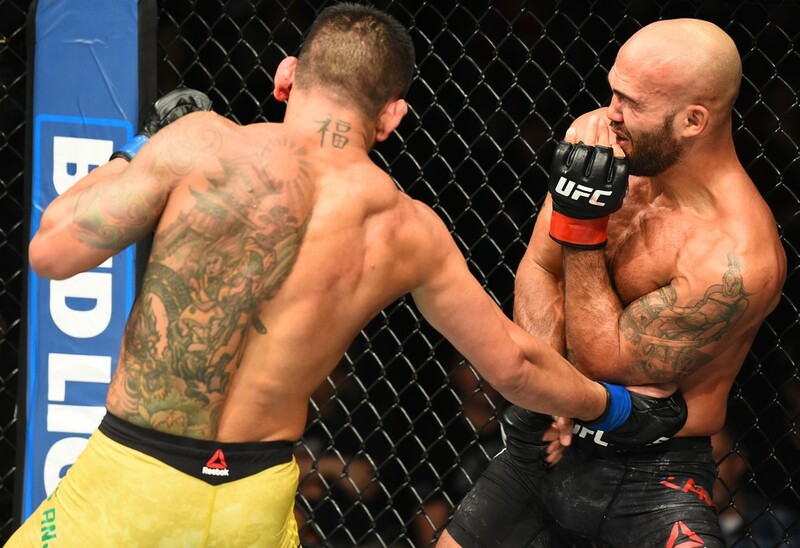 Until then, RDA will savor his win over Lawler, a dominant performance over 25 minutes that should prove all of the doubters of his welterweight campaign wrong. RDA is an incredible fighter with creative striking skills, a solid ground game, a great chin, and fantastic cardio, and he has a ton of experience in the UFC. Now that we know he matches up well size-wise against the other welterweights in the UFC, he should go far in his new weight class. The man is a terrific fighter and a true inspiration to always follow your dreams, as he lost the first fight of his MMA career and the first two fights of his UFC career. He’s already won the lightweight belt, now let’s see if he can add the welterweight belt to his mantle as well.